Using rubrics and providing student's feedback via the iPad has not been an area that has received a great deal of attention. This is, however, starting to change. I have recently spoken to a number of teachers who have developed apps that will allows teachers to use the iPad as a viable way of assessing student work. Some of these apps actually do more than just mark work. Check out the list and see if any would work for you and your students. 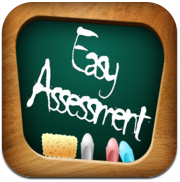 Easy Assessment is the app teachers have been waiting for. A simple way to capture and assess performance in any context or situation. Experience a new level of efficiency. 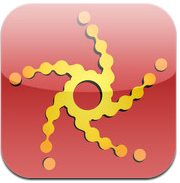 This app was designed and developed by an Australian Teacher Jarrod Robinson. He initially designed this to be used for PE and so wanted an easy way for teachers to construct rubrics. The design was so good other teachers saw the benefit of the rubric maker and it has become a standard tool on many teacher's iPads. 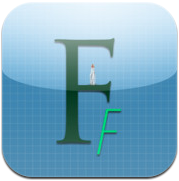 This is one of the easiest assessment apps I have used. I love it! This is another great app design by an Australian teacher - Paul Hamilton. Formative Feedback for Learning was created to foster and encourage communication between teachers and students. 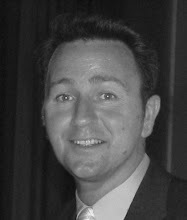 It uses icons and basic editing skills to prompt discussions through a conference setting. 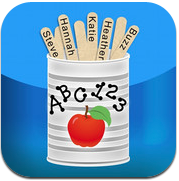 It does not have saving abilities or comment boxes as I believe in rich discussions between teachers and students. Utilizing the Ipad 2 camera, formative feedback allows students to play back video and allow feedback to be given on performance. Stick Pick is the first app of its kind to uniquely link question stems to the cognitive or linguistic needs of each individual learner. Formative assessment is easy to track because teachers can tap a corresponding correct, incorrect, or opinion button based on the student's answer. Teachers can also rate each student's answer by selecting 0-5 on a critical thinking rubric (Bloom's). Stick Pick suggests question starters for learners at different levels and also records how well students respond during classroom discussions. 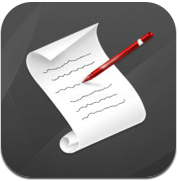 Provide your students with exceptional feedback, and reduce your grading time with Essay Grader for iPad. By moving between a series of tabs and clicking appropriate comment fields, a feedback document is created for each essay you grade. Essay Grader comes with three banks of pre-written comments for a multitude of topics within the categories of praise, organization, content, mechanics, style, and documentation. All comment text, comment labels, and category labels are fully editable. 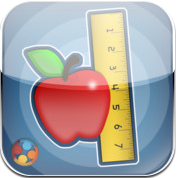 GradePad is a performance assessment tool for teachers, trainers, and coaches.Gradepad is a mobile performance assessment tool with group managing facilities. You can create assessments, track performances and monitor progress. Assess a variety of behaviors and performances with GradePad rubrics that have criteria and scales. Manage groups of individuals and track their performance over time. GradePad also allows you to send the data to your email account for further analysis. Assist lets you administer and collect student results from common, summative, formative and rubrics-based assessments. It will automatically grades bubble sheets captured by camera and it allows you to log individual student results to any assessment type. You can manage and score collaborative learning activities as well as immediately review the results of any assessment in ASSIST. With subscription to PLUS, results from ASSIST can be uploaded and aggregated by student, class, campus, assessment and standard. I have recently been issued an I-Pad 2 from the school where I teach. I am an online high school teacher and my main objective is to figure out if is useful for us and to know what is needed to that we can teach our classes using the I-pad. Some functions are difficult, but I can access and assess student work. Does anyone know any helpful tricks? Teacher's Assist is amazing, fully customisable. Try the lite version first to try it out. i would like to use teacher assist for this. Amazing.I really like this teacher assist.Thanks for the tips!